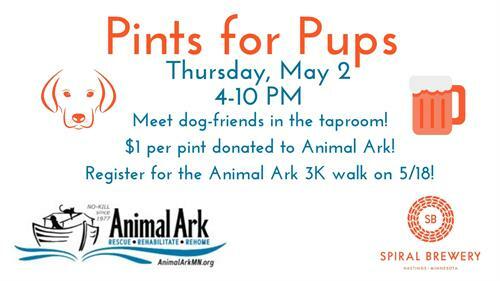 Meet adoptable dogs from Animal Ark in the taproom! Friendly dog handlers will be onsite to tell you more about these loveable dogs that are looking for the perfect human companions and want to join your pack. $1 per per Pint will be donated to Animal Ark! Thursday, May 2nd from 4:00 p.m. to 10:00 p.m.